This gorgeous light-filled family home on private cul-de-sac was totally renovated in 2005 by architect Bill Edwards and designer Alice Cramer. With four beautifully finished and perfectly laid out floors, there is tons of living and entertaining space. 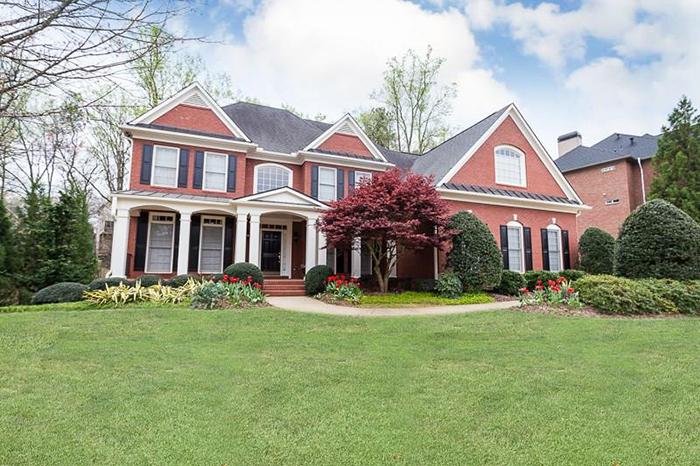 This beautiful five-bedroom, five-and-a-half bath new construction home by Jim Hogan Homes in an unbeatable Vinings location has 10-foot ceilings on main, a chef's kitchen and an outdoor porch with fireplace. The kitchen features stone counters and professional stainless steel appliances and opens to the family room. 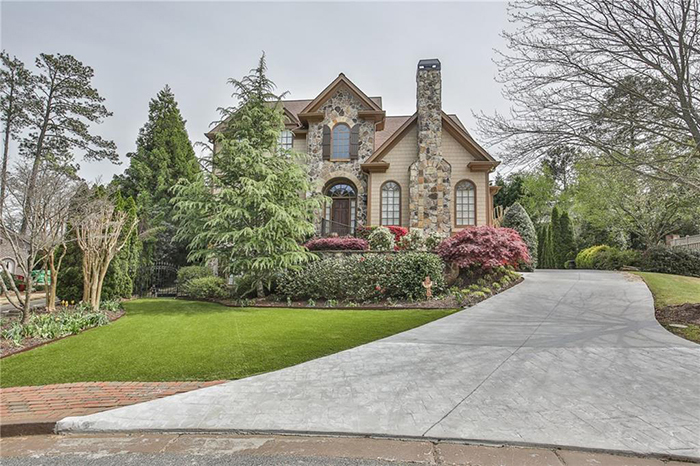 This storybook masterpiece estate home is in a fabulous location just outside the city and inside the perimeter. 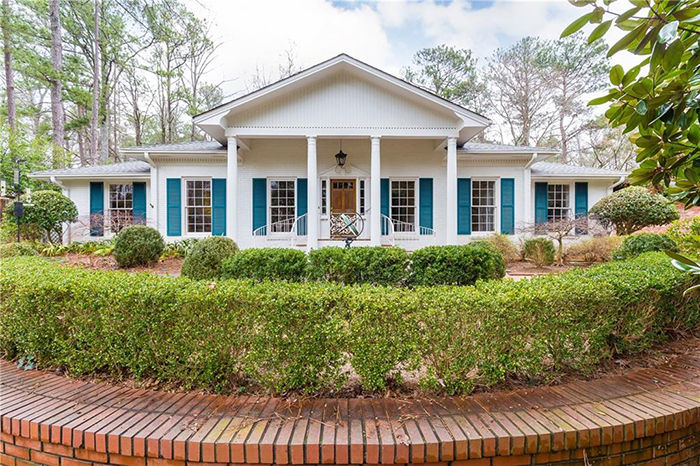 Built in 1996, the design captures the charm of a 19th century plantation farmhouse while providing all of today's amenities. 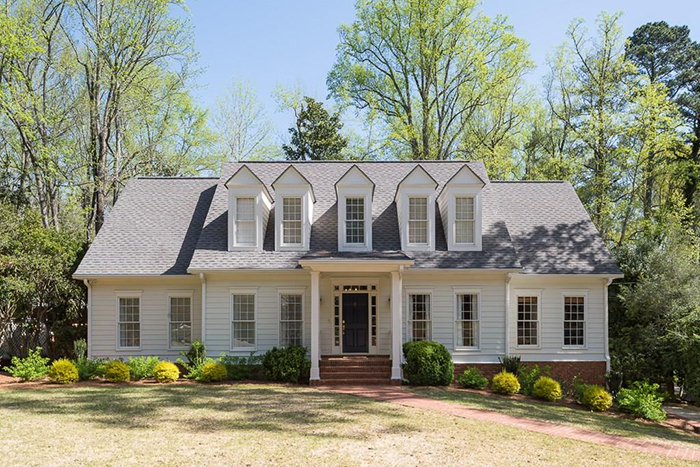 This beautifully renovated Cape Cod is on one of the best family streets in Chastain Park and has a great entertaining layout with an oversized family room with custom built-ins, fireplace and vaulted ceilings. The chef's kitchen has quartzite countertops, an island, breakfast area and wet bar. This gorgeous brick traditional has been renovated and expanded by Ward Seymour and is ideally sited far from the street in prestigious Grant Estates. It has light-filled living areas, a state-of-the-art kitchen with breakfast area and wet bar and a walk-out backyard with a patio and gardens. 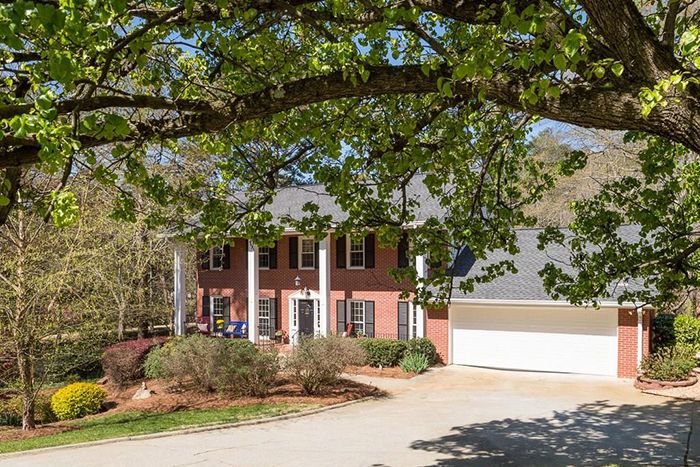 This fabulous estate home on two-plus acres in a prestigious, gated, Sandy Springs community is built for easy family living and entertaining. 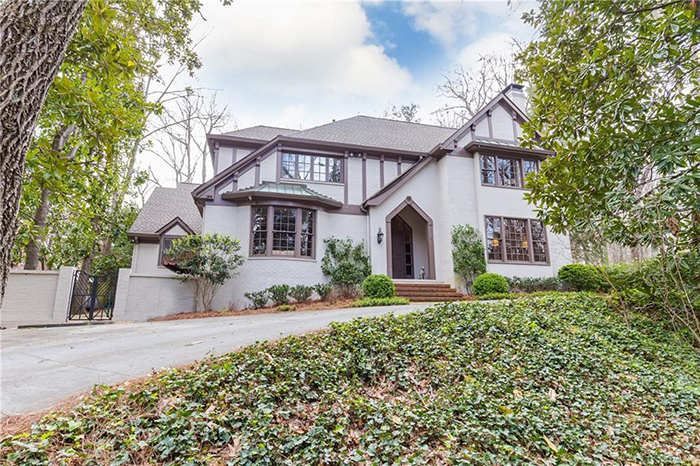 It has a grand foyer, spacious rooms including a wood-paneled study and a fireside living room with cathedral ceilings open to a level, walk-out backyard with pool and spa. 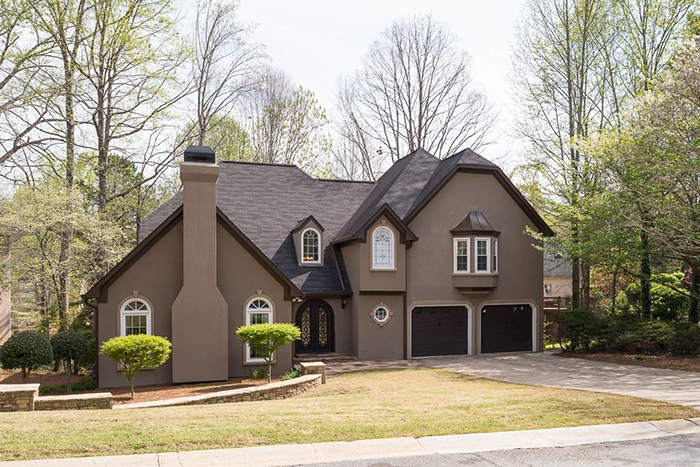 This beautifully renovated home is located on a quiet street in Chastain Park and features a gorgeous kitchen with white quartz counters, custom cabinets, high-end stainless appliances and a fabulous bar/buffet open to the fireside keeping room. The huge deck off the main level overlooks a formal garden and a large backyard. 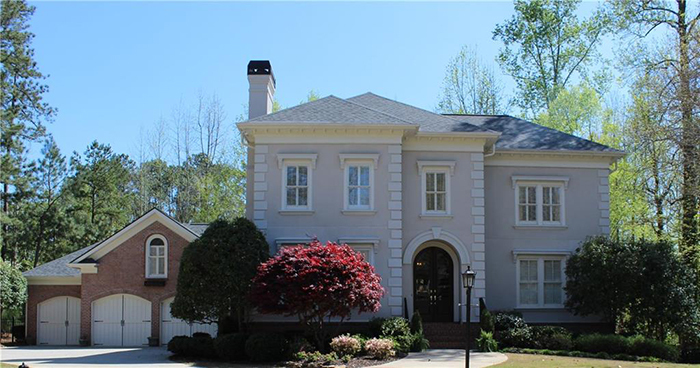 This exquisite, one-of-a-kind home has a welcoming foyer, vaulted fireside study and enormous dining room. The chef’s kitchen has a breakfast are and a large island and overlooks fireside family room with views of a screen porch and backyard with ultimate privacy. 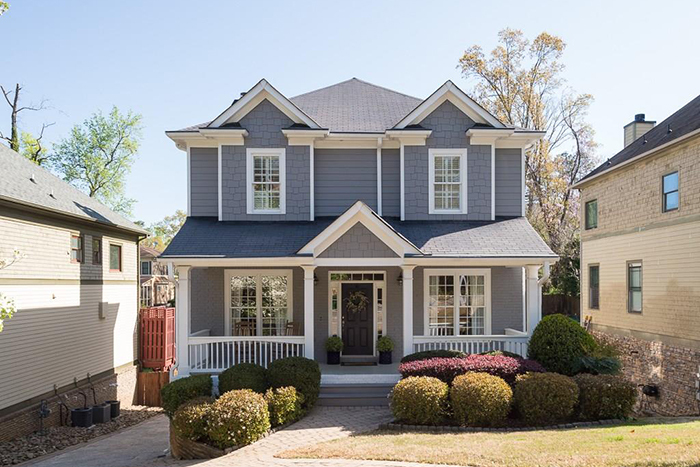 This is one of Roswell's most sought after locations, just minutes to the charming downtown, in the top school district and close to private schools. 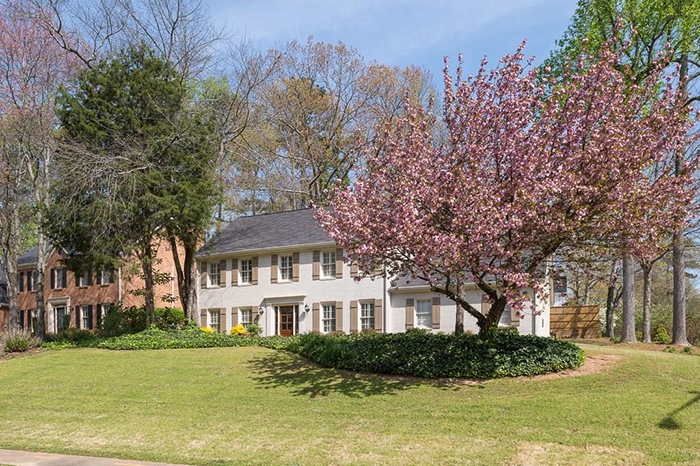 The neighborhood pool and tennis courts are impressive and have been completely renovated. 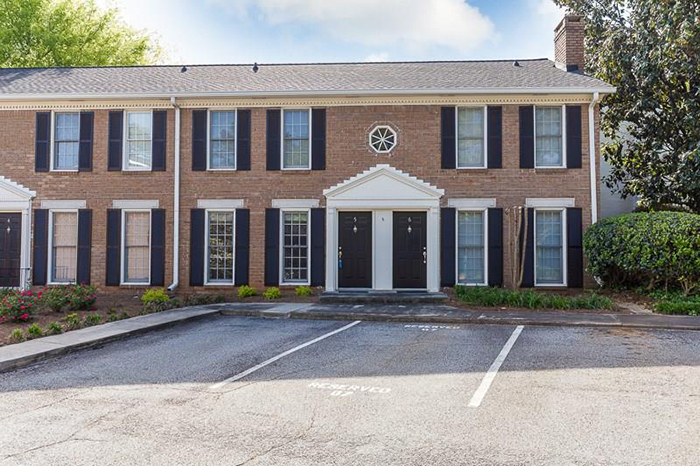 This immaculate three-bedroom/two-and-a-half bath home in the 10 Terminus condominiums in the heart of Buckhead has an amazing patio overlooking the Atlanta skyline and Kennesaw Mountain. 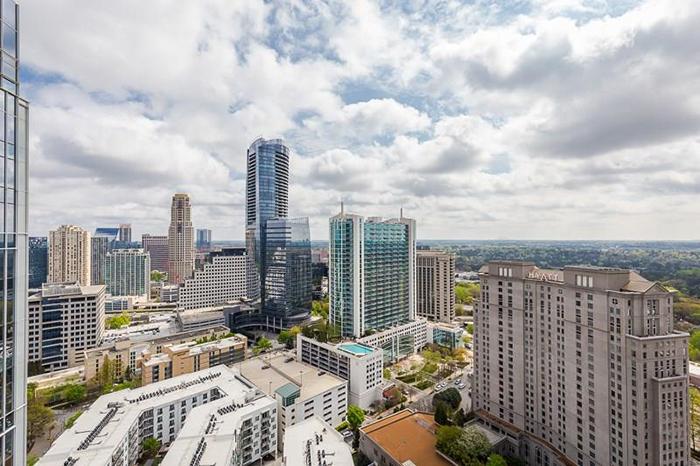 This is a completely turnkey unit with new hardwood floors, paint, new HVAC and a white kitchen with stainless steel, upgraded appliances including a Wolf gas cooktop and a Sub Zero refrigerator. 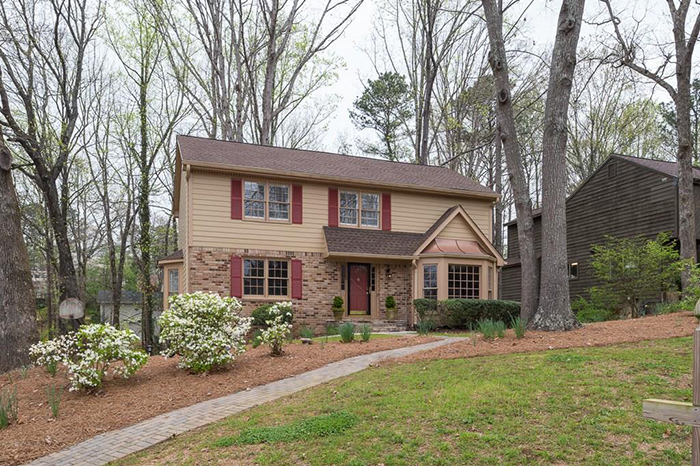 This Immaculate home in John Wieland's Vinings Estates has been beautifully maintained with a newly finished basement. 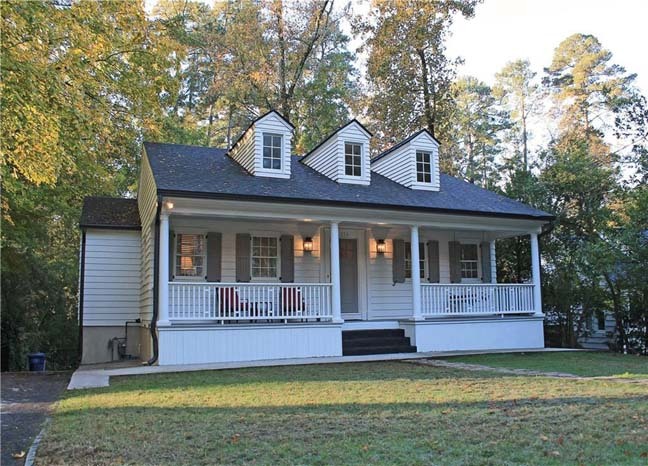 The first floor has hardwoods, a covered porch, an oversized deck and a chef’s kitchen with granite counters and upgraded stainless steel appliances. 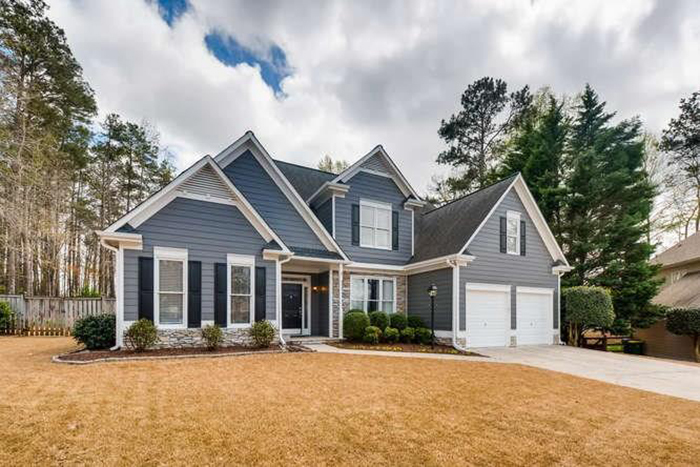 This beautiful home features a bright, open floor plan and a gourmet kitchen with new granite and new stainless steel appliances that opens to the family room. The oversized master bedroom has a spa-like bath and three large closets. Gorgeous, handcrafted wrought iron front doors set the tone for this perfect home, which has an updated, has an open floor plan and beautiful hardwood floors. It has been freshly painted inside and out and the kitchen, with granite and stainless steel appliances, overlooks a peaceful pond. 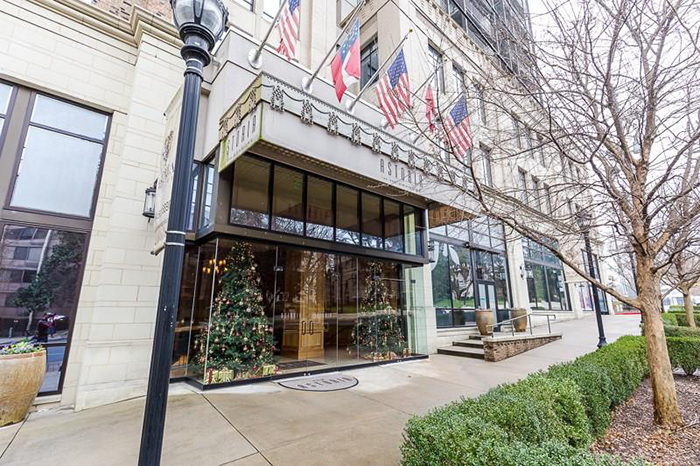 This beautiful two-bedroom/two-and-a-half bath unit at The Astoria — one of Buckhead's best boutique condo buildings — has a private entry foyer leading to an open dining room and living room area with a fireplace. The kitchen features Thermador appliances, Kohler fixtures and custom stained cabinetry. 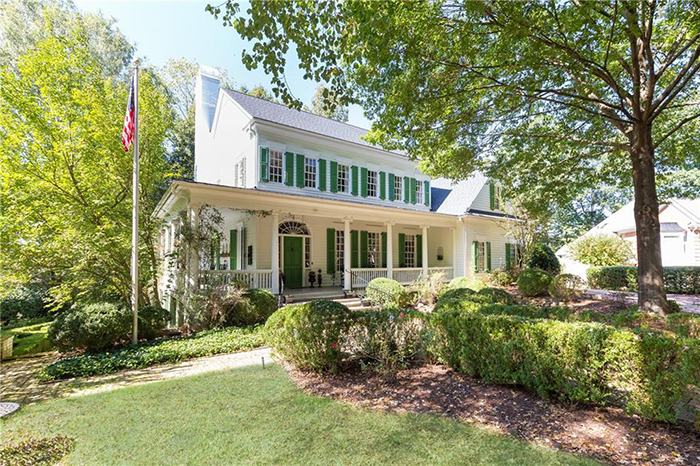 This pristine, renovated Georgian traditional home is in a Norman Rockwell setting, offering a lifestyle of peace and tranquilly including spring-fed private lake. The master bedroom suite has a sitting room and new master bath.The kitchen is a chef's delight. This sunny lot is within walking distance of Spalding Elementary School. It is perfect for active families who love a lot of space. The main level has newly refinished hardwoods, a large master suite with a walk-in closet and renovated bathrooms. 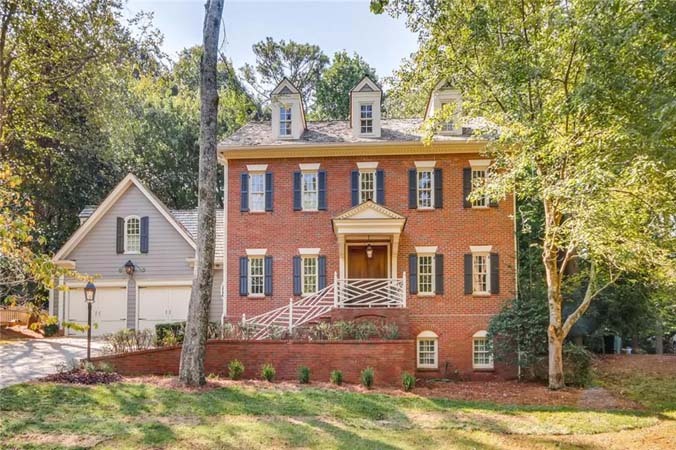 This stunning, three-sided brick traditional home on a double corner lot in a swim/tennis community has a welcoming foyer and a spacious living room that opens to the dining room. The fireside family room has built-ins and opens to the kitchen, which features custom cabinetry, granite countertops and stainless steel appliances. 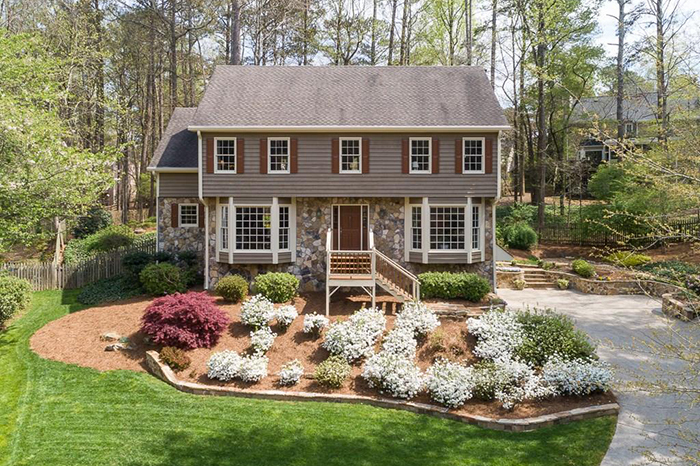 This beautiful stone and cedar traditional on a lovely cul-de-sac lot in sought after East Spring Lake has been meticulously maintained by one owner over three decades. It has been freshly painted and has new appliances in the spacious kitchen. This wonderful renovated house in the Hillsdale neighborhood on a corner lot is spacious and has great living space. The separate dining area has built-ins and the newly renovated kitchen has white cabinets, granite countertops, backsplash and stainless steel appliances. 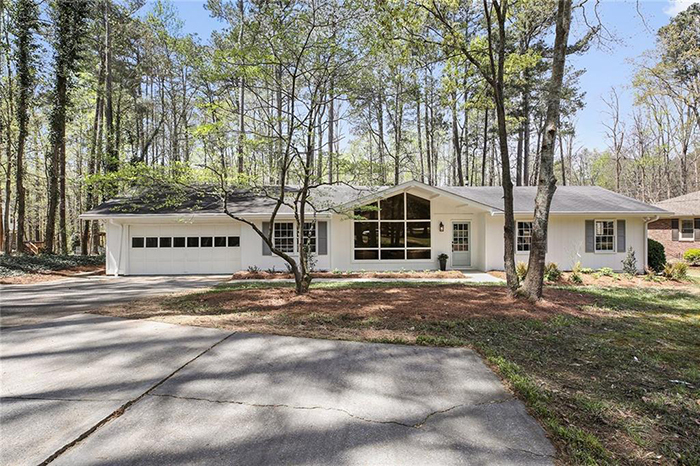 This newly updated ranch is just minutes from downtown Alpharetta and Crabapple. It has an open floorplan featuring new flooring through-out and smooth ceilings. This beautifully renovated and maintained home has an updated kitchen, bathrooms and fresh paint as well as newer appliances. 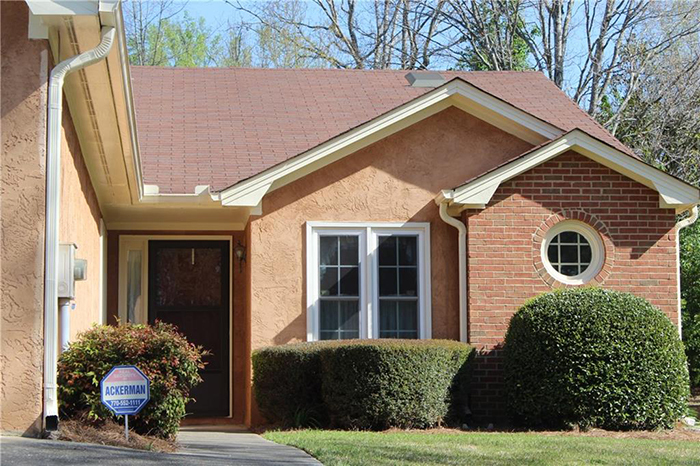 It has oak hardwoods on main and new, plush carpet upstairs and plantation shutters and new hardware throughout. 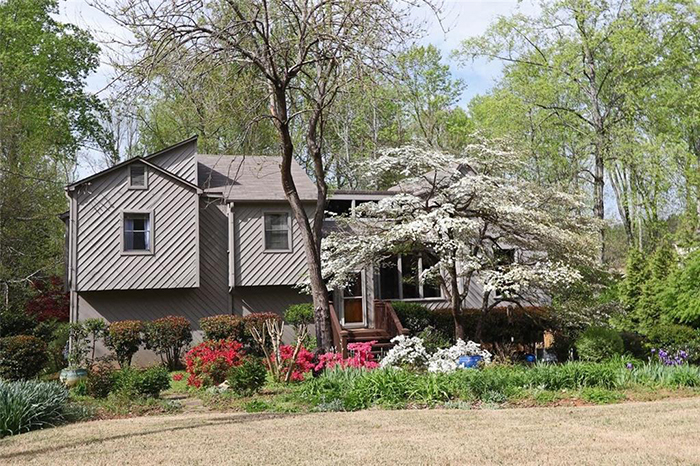 This stunning home on a cul-de-sac lot in Echo Mill has a master on main with a large walk-in closet and a gorgeous, fenced backyard with an in ground pool, hot tub and screened in porch. The large patio area is perfect for entertaining and parties. Wonderful updates in this spacious home on beautifully landscaped half-acre make it a hidden treasure in quiet neighborhood with no HOA. The light-filled kitchen opens to dining room and has granite countertops, stainless appliances, center island workspace and storage. This light-filled two bedroom townhome is in the middle of everything and has brand new floors on the main level and new paint throughout. The private rear patio has room for a small garden. This is an adorable, well-maintained two-bedroom/two-bathroom unit in 55-plus adult community. It has a spacious kitchen and a great room with nice patio. 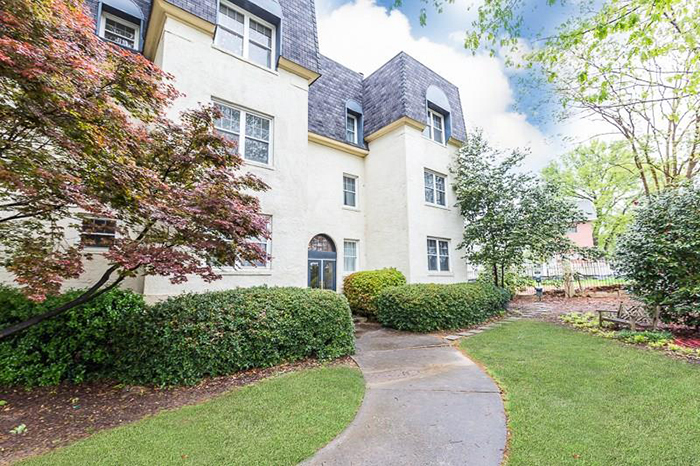 This wonderful one-bedroom/one-bathroom unit at Ansley Arms is in an amazing Midtown location, within walking distance to the Beltline and steps from Piedmont Park. It has hardwood floors, nine-foot ceilings, separate dining room and a living room with double sided gas fireplace plus small bedroom or office area. 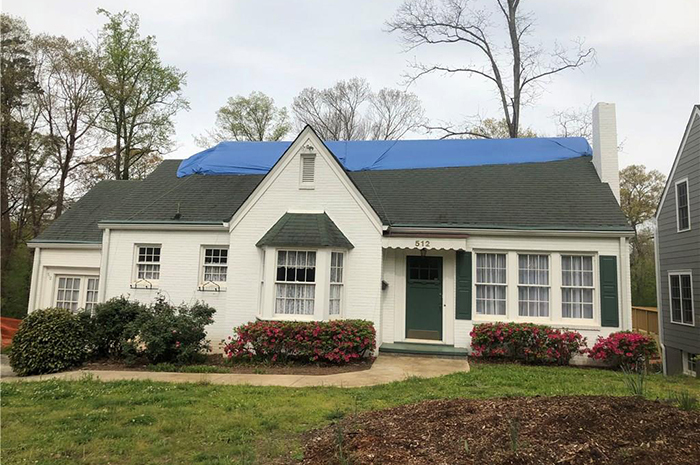 This is a terrific opportunity to renovate or build in a fabulous Decatur location. 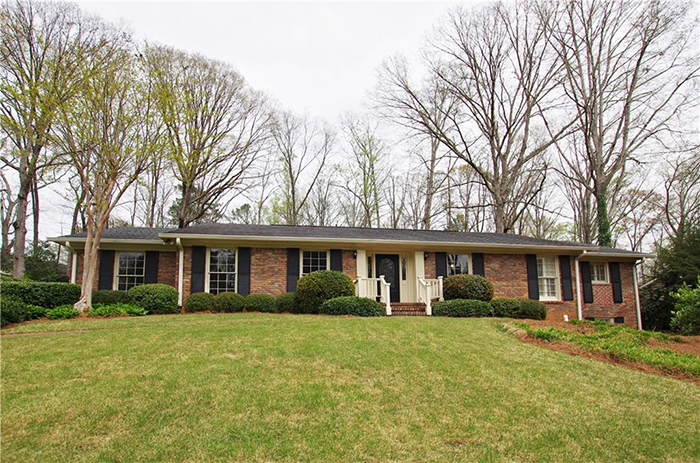 It is within walking distance of downtown Decatur and Westchester Elementary School. 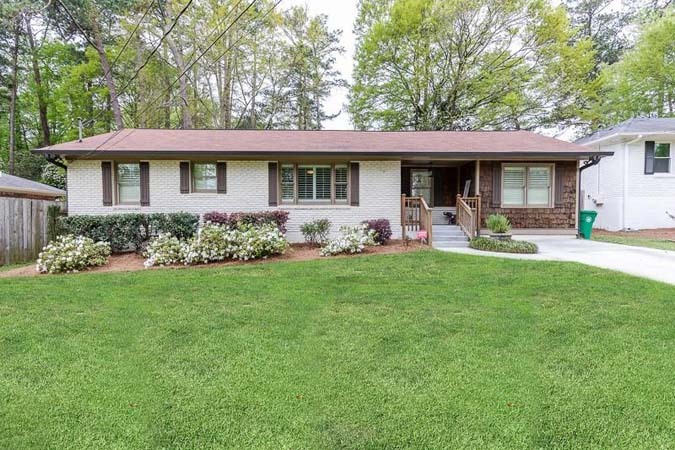 This four-bedroom/two-bath traditional home in the Warren T. Jackson Elementary School district has been renovated and is move-in ready with bright open spaces, entry foyer and hardwoods. The gorgeous kitchen has stainless steel appliances, marble countertops and a large island with seating, and opens to spacious separate dining and living rooms.